This past October 2013, I was in Hawaii on both the big Island in Kona and the Island of Oahu in Honolulu and I discovered the most awesome car rental service that I just must share with all of you!! 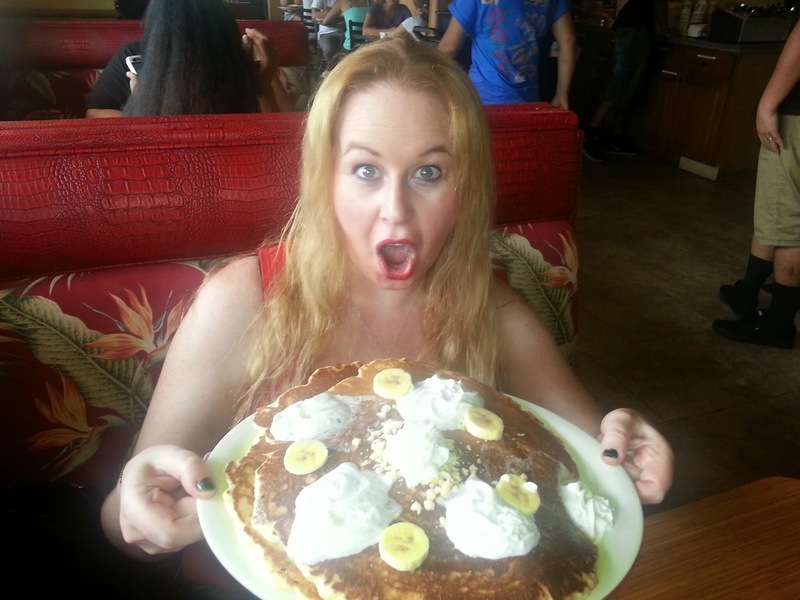 I have been planning to write about this for awhile now and recently got the passion to do so after seeing so many of my friends and readers travel to Hawaii and spend so much money. Seriously, when you leave the mainland and go to the tropical destination of Hawaii, you do typically spend a lot of money, but with this car rental service I want to share with you, at least you can start saving on a car rental. I have travelled to the big island twice in the past 2 years, so I knew I would want a rental car there, but I had not travelled to Honolulu since I was 12 years old on a family trip so I was unsure of if I would need a rental car…I had read such awful things about how rental cars cost so much to park daily at all hotels (some $30 a day) in Honolulu and rentals were so expensive. Upon arriving at our hotel in Honolulu I decided to inquire what it would cost to rent a car for one day because we only wanted to travel a far one day and we did not want to have to pay to park at our hotel overnight. I went to the front desk to inquire and I was told the rate was $76 plus taxes and fees and it came out to about $100 a day! This is highway robbery if you ask me!! After contemplating about a rental car, I decided to try out Discount Hawaii Car Rental online to see if I could get a better rate. Prior to travelling to Hawaii, I had used them to make a reservation for our rental car and got placed with Budget rental cars at a rate of only $138.99 for 4 days on the Big Island including all services, taxes, and fees! Since that rate was such a great one, I was hoping I could get a great rate in Honolulu too where car rentals seemed to be so overpriced! also say the rate I had on the big island of only $138.99 was half the price of what I would have paid at another car rental service place! For the second car rental, the one in Honolulu I was placed with Dollar Rent a car, so basically Discount Hawaii Car rentals negotiates the cheapest rate for you. 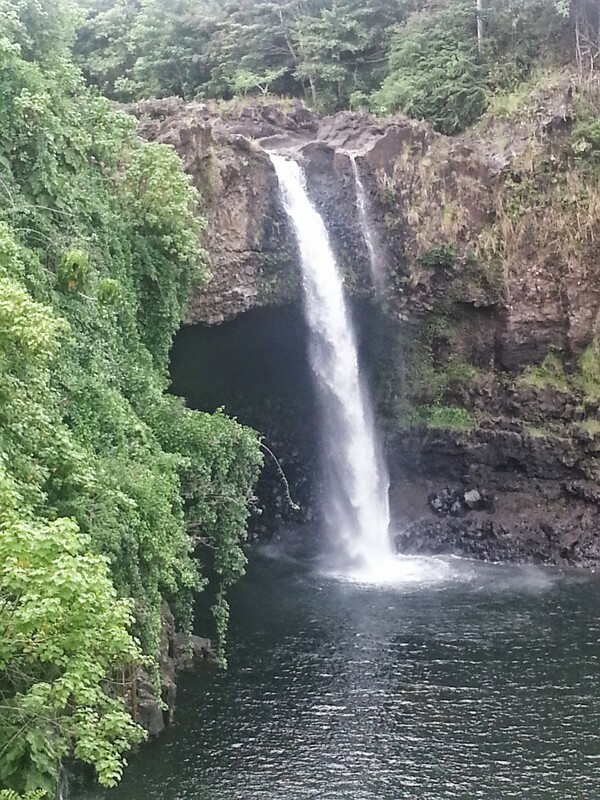 In addition, I only booked my original reservation 2 days before my original trip to the Big Island!! 🙂 No Hassle whatsoever! Now, here is the most exciting part, the car place was so packed… (Ok, that is not really so exciting having to wait 45 minutes in a line for a car) but we got a free massive upgrade to a red Mustang convertible! 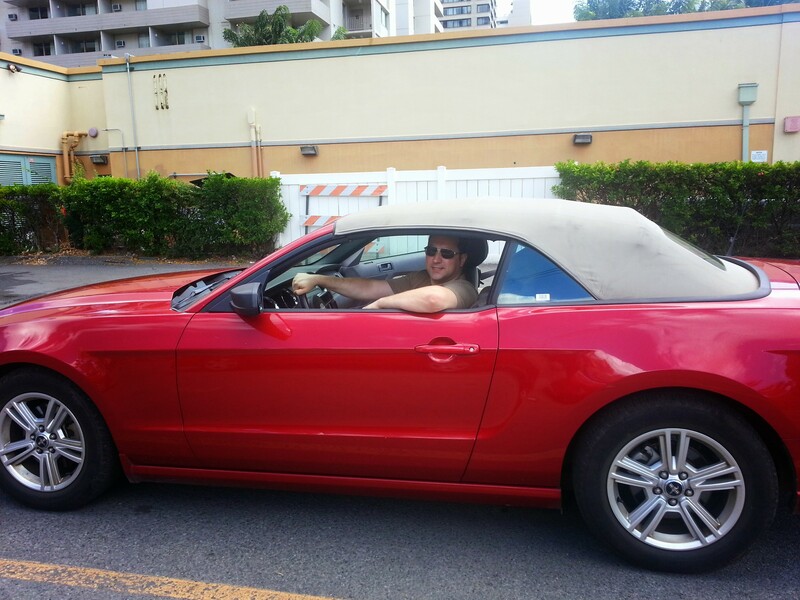 Yes my friends, we got to cruise Honolulu for the day in style! The crowds of people actually worked in our favor. This was such an awesome deal! I just felt the need to share so that if any of you out there plan to travel to Hawaii, you can take advantage of the same awesome car rental that I did!! 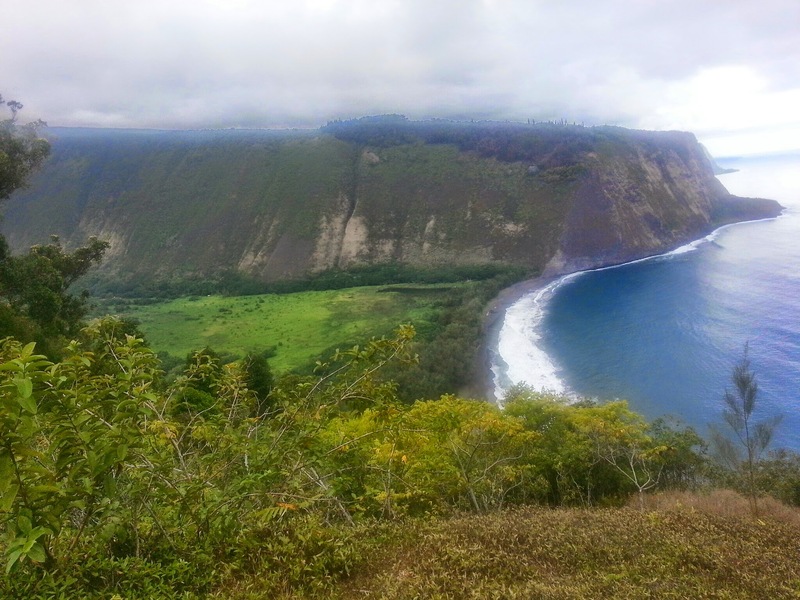 Discount Hawaii Car Rentals provides their services in Maui, Honolulu, Kauai, Kona, Hilo and Molokai! There is absolutely no need to haggle with car rentals to find the best price! 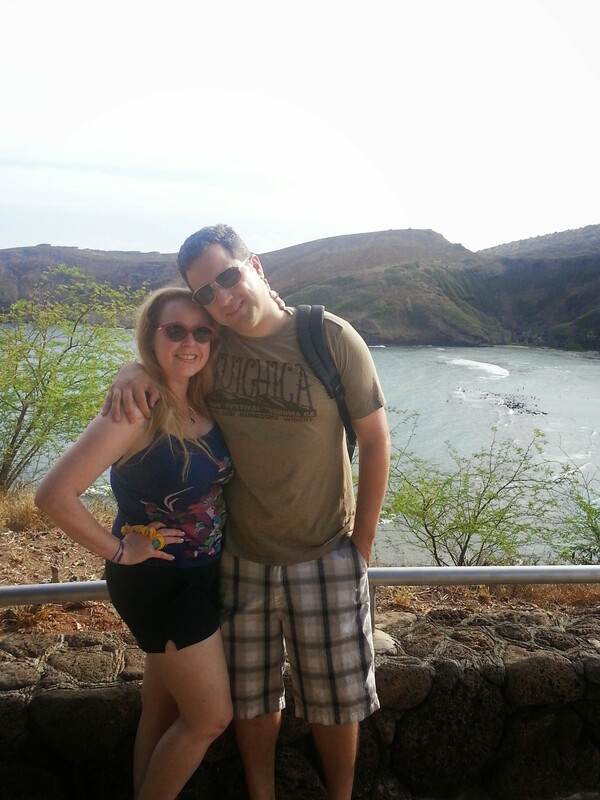 Discount Hawaii Car Rental does it for you! Another awesome factor is that there are no upfront fees and you do not have to give them any payment info. You simply show up and get your car! 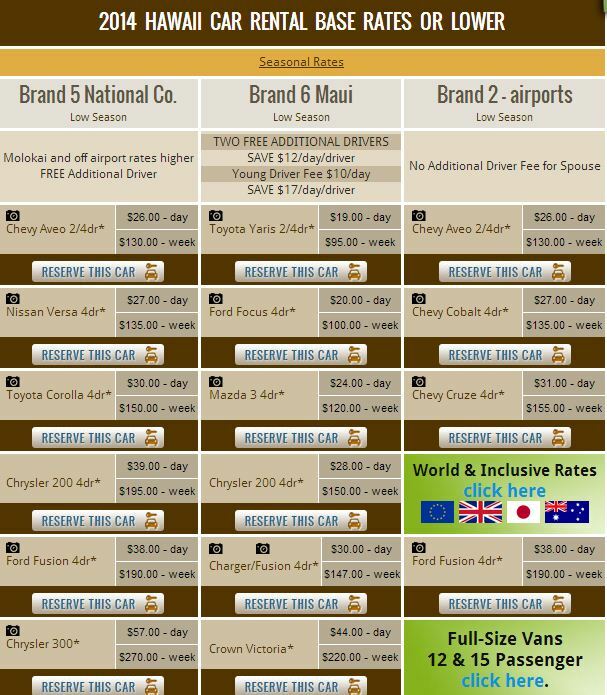 Have you ever used Discount Hawaii Car Rentals? If you have, I want to hear all about it below! I also have an awesome car rental service I share about in California. If you are travelling in California and need a rental car, see my article here SUPER CHEAP CAR RENTALS. Have safe travels everyone….wherever your final destination may be!! Thanks for sharing. 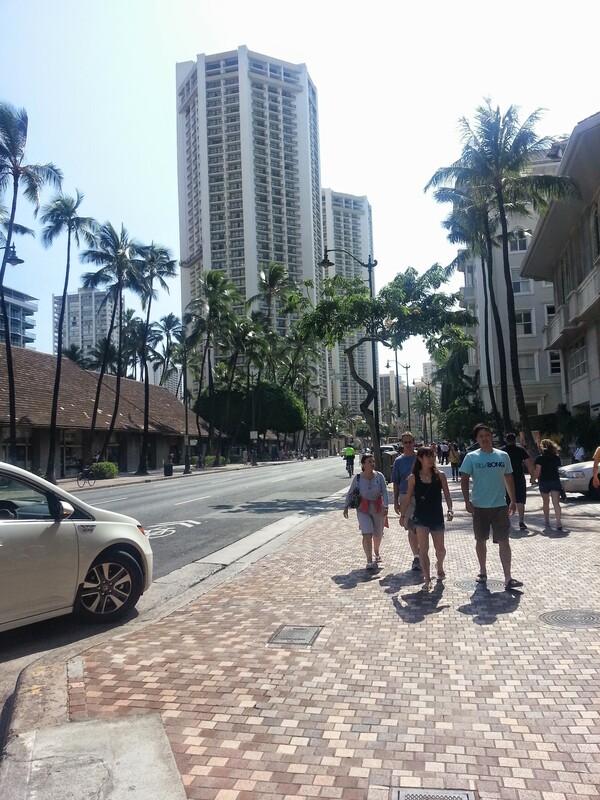 We ended up walking most of the time in Honolulu because of the cost of rental cars. Now I know there’s a better option. Thank you so much for sharing this great discount car rental tip. I know to never get a rental from an airport or hotel offer – wayyyyyyyy overpriced! That is very true that airports do jack up rental car prices Laurel and with this company you are definitely given the best deal possible! Loves them! Wow! What a great post. I’m going to bookmark and share this. Most definitely:) I love this company! Awesome deal for a cheapest rent a car in Hawaii. Wow, you had a lot of fun 🙂 Thanks for sharing! Thank you so much for your comment Carla! I am glad to hear you enjoyed my article! 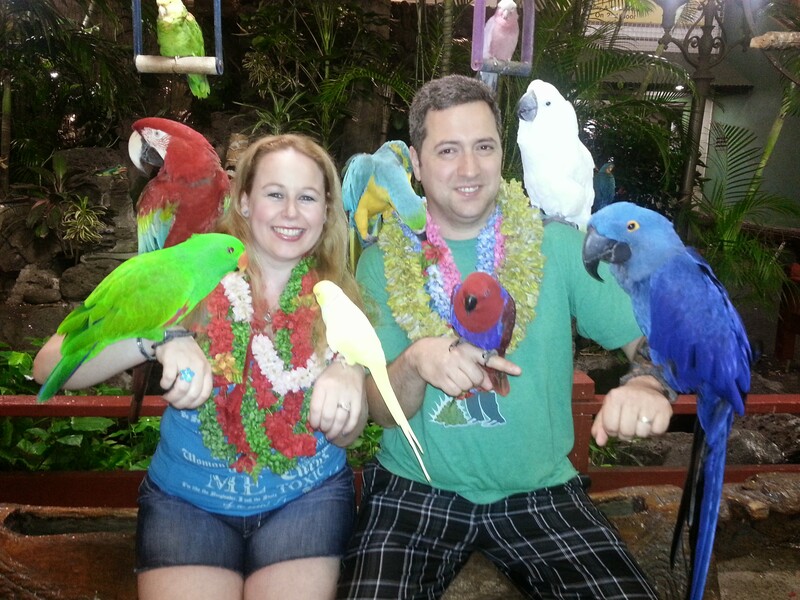 I have used Discount, for the past 2 Christmases on Maui, much more affordable than, the BIG dealers, even AAA, Costco, and the premium membership plans.